Dublin is well known for its Irish-American culture and golfing community, and hosts the annual Memorial Tournament, a stop on the PGA Tour. 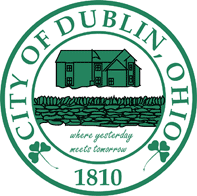 Dublin is a suburb of Columbus, Ohio, the largest city in Ohio and the 15th largest city in the United States. The area has a lot to offer during any downtime for spectators and athletes alike. Columbus is home to the Battelle Memorial Institute, the world’s largest private research and development foundation; Chemical Abstracts Service, the world’s largest clearinghouse of chemical information; NetJets, the world’s largest fractional ownership jet aircraft fleet; and The Ohio State University, one of the largest universities in the United States. The city also has the headquarters of multiple major corporations in the U.S. Fortune 500, including: Nationwide Mutual Insurance Company, American Electric Power, L Brands, Big Lots, and Cardinal Health. The fast-food corporations Wendy’s and White Castle are also based out of the Columbus metropolitan area. 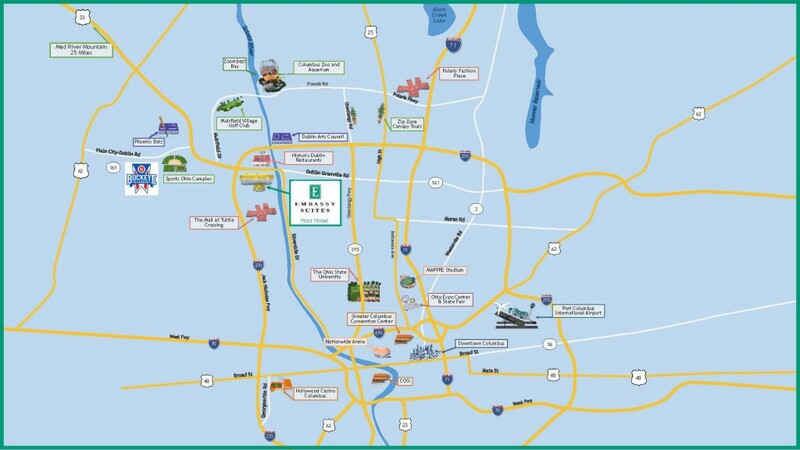 For some pointers to various attractions in the area, take a look at this map (not precisely to scale). Click on it to download a PDF version with some interactive website links to the attractions. And enjoy your visit!